One of the most important things for every new cleaning business owner is getting those first few cleaning contracts. Without them it won’t be long before you’re out of business. NO SALES EQUALS NO MONEY!!! In today’s video, I am going to show you 5 ways you can generate new cleaning accounts, whether your targets are apartments, schools, offices or other types of accounts. Unless you want to focus on a very small local market (i.e. your immediate neighborhood) you should invest some money in a professional looking website for your cleaning business. Today, no matter what industry you’re in, if you don’t have a website where potential clients can find you, you might as well be invisible. Be sure to hire a good website developer who knows how to design a site that generates leads, because really that’s the point. Whatever investment you make in the development costs, you’ll easily recoup when you start generating new accounts. And, of course, we can help! We know the cleaning business better than anyone. Check out our web design services. Whether you’re planning to get residential or office cleaning contracts, real estate agents can become a great source of lead if you nurture these people properly. This will open a whole new world of potential jobs and clients to you as real estate agents are always in contact with home owners, and office managers. If you want residential clients, focus on real estate agents that specialize in residential. If you want commercial clients, focus on real estate agents that specialize in commercial. One of the best ways to get new clients is to use the power word-of-mouth. If someone has nice things to say about you, this will improve your chances of getting new clients for your cleaning business. This is why it’s so important for you to provide good service because over time your happy clients will refer new clients. Why wait for clients to find you when you can go to them? By creating a list of potential clients and sending literature to each of them, you may contact someone at the perfect opportunity. Maybe they’re looking to making a change of the cleaning company, and now you have your foot in the door. Timing is everything! When sending out literature, first make sure that you research the potential client and understand what they need. Remember, not all clients are the same. Once you’ve sent out some literature, be sure to follow up with a call. Finally, you can also hire a salesperson, to get cleaning contracts for you. Be warned, however, that, depending on who you hire and how good the salesperson is, this might be either the best or the worst way to get cleaning contracts. GOOD AINT CHEAP, AND CHEAP AINT GOOD! If you’re ready to grow your cleaning business long term we can help! Here at CleaningSeo, all we specialize in is building cleaning businesses, nothing else. We know the industry better then anyone! From highly custom web designs, to first page search engine rankings, to custom promo videos, we do it all! We have clients all over the world so it doesn’t matter where you’re located. 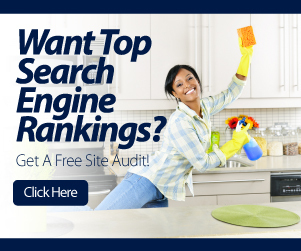 If your country has a search engine like GOOGLE, we can rank you! WANNA LEARN HOW TO GENERATE LEADS 24/7??? Give us your name and email and we'll send you a link to a PRIVATE MEMBER VIDEO!! !